Heeft u een vraag voor POP! Hotel Tebet Jakarta? Tijdens uw bezoek aan Jakarta zult u zich snel thuisvoelen in POP! Hotel Tebet Jakarta, dankzij de hoge kwaliteit en de goede service. Het hotel ligt slechts 1 km van het stadscentrum: lokale bezienswaardigheden zijn dus snel te bereiken. Voor mensen die er op uit willen gaan, Bidakara Gebouw, Central Immigratie Kantoor, UKM Gallery zijn slechts enkele van de attracties die beschikbaar zijn voor gasten. Bij POP! Hotel Tebet Jakarta staan de excellente service en de superieure voorzieningen garant voor een onvergetelijk verblijf. U kunt hier gebruikmaken van een selectie van topklasse voorzieningen, zoals gratis wi-fi in alle kamers, 24-uur beveiliging, dagelijkse schoonmaak, taxi service, 24-uur receptie . Gasten kunnen kiezen uit 147 kamers, welke stuk voor stuk plezierig en comfortabel zijn ingericht. De accommodatie biedt talrijke recreatieve mogelijkheden, zodat u voldoende te doen heeft tijdens uw verblijf . Ontdek een boeiende mix van professionele service en een breed scala aan voorzieningen in POP! Hotel Tebet Jakarta. Good location, friendly staff, clean room with decent wi-fi connection. Close to a coffee shop, restaurant, and convenient store. Perfect for solo/business travelers or a short stay. Great value for money. This was a cheap room for one but even a cheaper option for a couple. The room felt cozy and there's free breakfast around 7 am to 9 am. There's also convenience store upfront. I recommend an overnight room for those with a whole day jam-packed itinerary. Great Location, friendly staff,and value of Money, i have already staff here so many times ..and always comeback here because it's location near my office, and staff is sooo friendly..and the price is good. That is one great value for money I ever had before. The hotel is at the heart of Tebet in South Jakarta and easily accessible. If you want to reach there from the airport, just take Damri bus to Pasar Minggu and ask the driver to drop you in Pancuran, from there, just take a taxi for less than 2 USD to the hotel. The staff were friendly and fast. The room itself was nice and clean. The toilet style is so cute and I liked it. Hot water, and wifi are available. Nearby there is McDonald's, and you can order taxi or GrabCar easily from there. Also if you are hungry and lazy to go out, you can just order by Go Food. The hotel is nearby many shopping malls and also a train station of Tebet, just 15 minutes walk, or very low cost taxi. I would recommend it for anyone visiting South Jakarta and wanna stay for good budget. The hotel is located not in a strategic place but anyway easily accessible with cars or motorbikes. The interior of the room is interesting, the toilette door slide in a peculiar way, the sheets are nice and the bed is big and confortable. In the toilette there is soap and toothbrushes. Overall it was a great stay. The staffs are super friendly and helpful. In case you are heading for Kota Kasablanka Mall, the location is not so convenient. The location is 1.7KM. Taxi fare from the hotel to the Mall is reasonable (around 20,000 rupiah per trip). One more thing... They don't have iron and I hope they will provide it in a future. Otherwise, the hotel is worth staying. 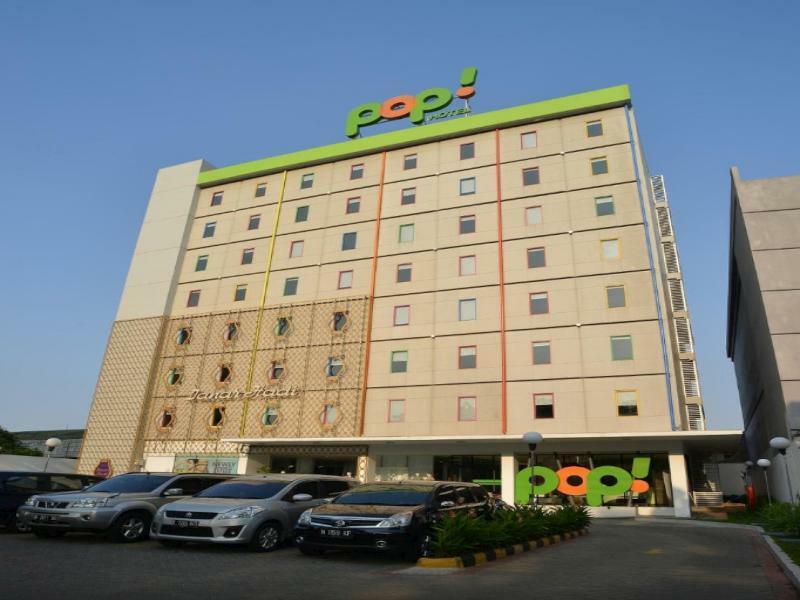 Another stay at POP Hotel due to business trip.. this might be the 6th or 7th time for me staying at pop hotel. like the eco-go green system they are trying to tell people. for a budget hotel, this is for me the best. serves lite bite for in the morning, friendly staff, fast check in and check out. Great choice if you need to stay for a night or two. Ample of dining options around the hotel and could easily grab a taxi in front of the hotel. Value for money as you probably get better facilities compared to what you actually paid. Parking could be an issue if you are driving as only limited spaces are available. As a budget hotel of course we have to accept the limited space offered. The most important thing is that the room was clean and also they provided free 2 bottles of mineral water.